Autumn is well-known as a season of change. The weather is turning, leaves are changing colour and trees are shedding their foliage. It also marks the end of one sport season and the beginning of another. Thousands of Melburnians are hanging up their tennis shoes or folding up their cricket whites for the next six months or so. Many thousands more are polishing their soccer boots or putting their AFL v-necks through the wash in readiness for the football season. Whether the final whistle for the season has sounded, or the starting gun is about to be fired, Harbour Kitchen is the perfect function venue for a team event. Their are few better ways to forge lifelong friendships than on the sporting fields of Australia. In the course of a cricket, football or netball season, you experience plenty of ups and downs. You celebrate victories together, commiserate losses together and, most importantly, have a whole lot of fun playing the sport you all love together. There is no better way to unwind and reminisce after a long summer of sport than with an end of season function. And there is no better backdrop to dissect the season that was and no better function venue to do so at than Harbour Kitchen. For those about to kick off their winter sports season, why not have a pre season get together at Harbour Kitchen? That way, you’ll get a head start on the bonding that is such an important component of the fun and success your team will hopefully enjoy as the season unfolds. And nothing helps the bonding process quite like a few drinks and some shared platters of food. 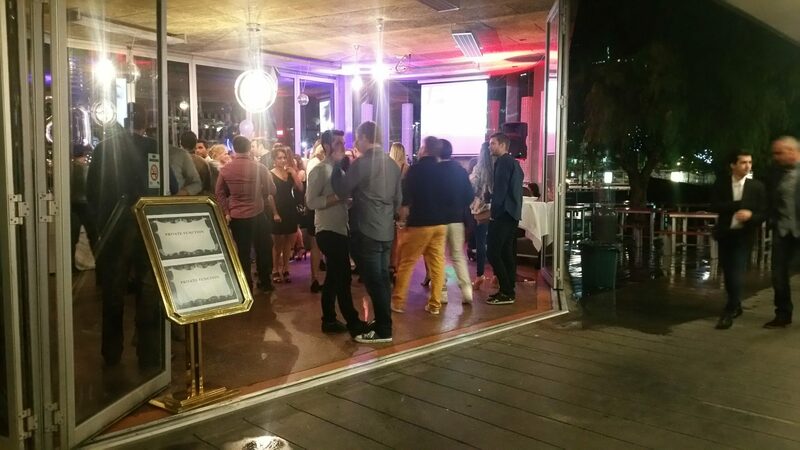 Harbour Kitchen function venue offers all this and much more, which puts us at the top of the ladder when it comes to end of season or pre season events.